Unlock multimedia content buried within your favorite podcasts. Podcast hosts talk about books, articles and websites in their shows. Voce (pronounced "vo‑che") is a podcast player that gives you access to expert curated show notes buried in the audio. You can follow along an episode visually or bookmark content for future use. We are currently in beta! Join the community of podcast lovers to see what people are saying about Voce. It's cool, we don't like spam either. 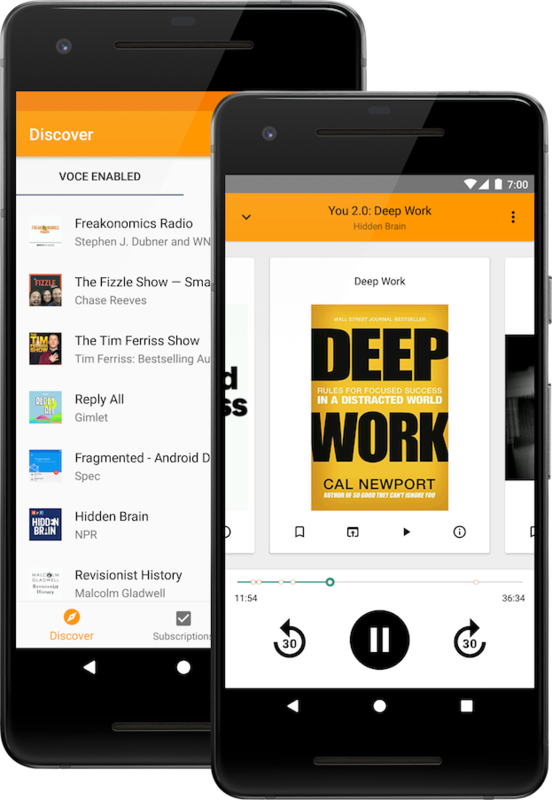 The Voce player gives you access to books, images, videos and websites as the hosts discuss them on podcasts. Searching for show notes is a thing of the past. Voce transforms show notes into a timeline. Scroll through the timeline and replay audio segments. Never miss out on the book that was mentioned during your commute. Voce recognizes websites mentioned in audio and converts them into links. Whether it's a sponsor's discount code or a link to an article, Voce's got you covered. Follow the links with a single click. Looking to get your podcasts on Voce? Say no more! Click here. What podcasts will be Voce-enabled? 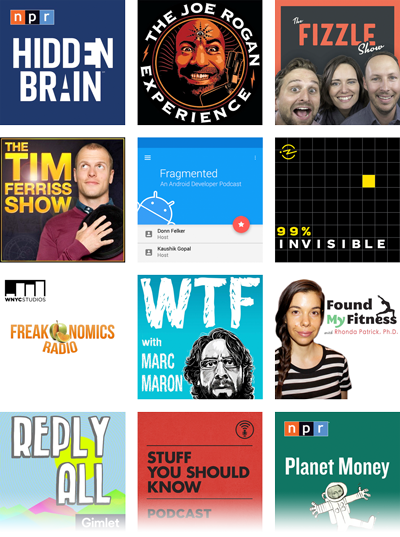 The image contains examples of podcasts that currently have show-notes available. We are always adding more! If you'd like a say in the next podcast to have show notes, vote in our Coming Soon section! Download the app to vote. Where do the show notes come from? And what are "show notes" anyway? Show notes provide a convenient outline of topics and links mentioned in a podcast episode. The show notes come directly from the podcast's creators or our expert data aggregators. Can I share a podcast? Podcast episodes? A show note link within an episode? When will the iOS app be released? We're working on it now! Sign up launch updates here. Have another question? Hit us up!